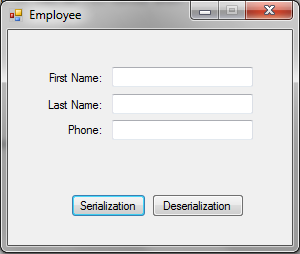 Serialization is a process of converting the object into a form so that it can be stored on a file, database, or memory, it can be transferred across the network. Its main purpose is to save the state of the object so that it can be recreated when needed. Deserialization is the reverse process of serialization. It is the process of getting back from serialized object so that it can be loaded into memory. We have put [Serializable] on the top of the class and which method are not serialize put [NonSerialized] attribute. Now run this application and fill all the fields. After click Serialize button use BinaryFormatter to serialize the object in BinaryFormat. Make a file using FileStream named Employee.Binary. 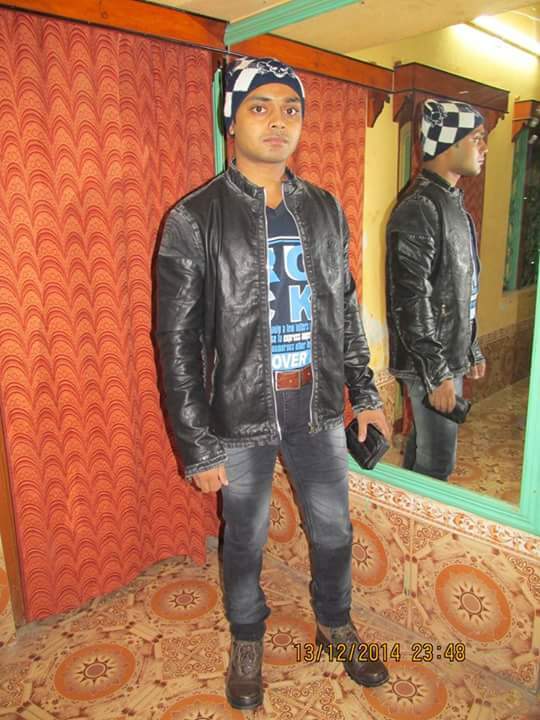 In this file our serialized object will be stored binF.Serialize(fs, empDetail); will serialize the object empDetail and store it in file Employee.Binary. If we see under the bin folder. We have found binary file name Employee.Binary. 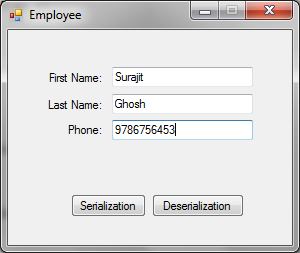 Now we have clear the value of the textbox and click Deserialize button. We have see that the previous value will come the proper place. Now if we click Deserialize button use BinaryFormatter to deserialize the object from file Employee.Binary. After the object is deserialized update the values of text boxes. 2) Change the filename from Employee.Binary to Employee.xml. 3) We have need to change [Xmlgnore] instead of [NonSerialized] in EmployeeDetails class.